(click here for a coupon), or use the paypal link on our webpage. To subscribe within Canada: 3 issues ($25), 6 issues ($45). If quoting this material, please cite the source and webpage. Thanks. and Edward Hick's painting, "The Peaceable Kingdom." > Why “The Dominion of Canada”? > Who were the Slave Owners of New France? Despite $500-million spent on self-glorifying celebrations of this country’s 150th anniversary, the story of Canada contains much to be ashamed of. Plagued by centuries of genocide, slavery, land theft and other imperial felonies, the European occupation of this plot of land has amounted to a vast, ongoing criminal enterprise. While Canada has a long painful history of colonial conquest, it has hidden much of this tragedy behind triumphal cover stories that disguise this country’s true provenance as a stolen land plundered from Indigenous peoples. Canada is built on a vast foundation of legal fictions, cultural constructs, religious fantasies, political fabrications and literary escapism. One longstanding national myth is that this country is a global force for peace and moral goodness, destined to spread blessed "Canadian values" to those less fortunate. According to Canada’s most illustrious literary son, Northrop Frye, the whole "mood" of our nation is expressed in the "haunting vision of serenity" of a primitive surrealist painting by Edward Hicks called "The Peaceable Kingdom," circa 1834. (See a modified version on the front cover and see the original here.) In the foreground we see normally vicious predators sitting cheek to cheek, and ever so passively, with blank-faced and cherubic white pioneer children. With them are tender lambs and other tasty morsels of easy prey who, as Frye said, "stare past us with ... serenity. "1 It is a utopian vision of the Biblical prophet Isaiah, writ large on the North American landscape. In the background, kindly European settlers are seen parlaying peace with the Indians, generously offering them blankets and other trinkets symbolising their good will. Frye, whose genius as a literary critic and theorist made him one of the 20th century’s most influential thinkers, saw in this dream-like canvas the "quest for the peaceable kingdom"2 that was, he argued, the defining feature of Canada’s entire literary tradition. But what Frye left unsaid is that the fabled peaceableness so fancied by Canadian wordsmiths is utter hypocrisy, a hallucinatory national farce. Just as predators and prey never live side by side in serene nonviolent oneness, neither do conquering imperial powers treat subjugated nations with justice and peace. The fictive serenity of Hick’s art reflects, in Pollyannaish glory, the flatulent rhetoric by which so much of Canada’s deluded literary tradition, both fiction and nonfiction, has absurdly marched. The magic realism of Canada’s puerile peace mythology has cast a potent spell over our literary imagination. From poetry and novels to news stories and government reports, rosy self-images have enchanted Canadians into believing that, unlike our U.S. neighbours, we are at peace with nature, natives and the world at large. Centuries of spouting this pompous cant about Canada’s wondrous peaceability has created mass delusions akin to a state religion. Blind trust in such whitewashed fairytales has turned the raw nightmare of Canadian colonialism into glorious dreams of a golden age, both past and future. For far too long, the flag-waving mainstream has adopted this official alchemy by ignoring Indigenous genocide and accepting the puffery that Canadians are by nature a benevolent and altruistic people imbued with what our government righteously calls the "four core Canadian values" of "respect, freedom, belonging and peace. "4 Such infantile nonsense about the purity of our moral being is a soothing national pacifier. Like a baby’s prized binky, this myth shuts us up by closing our mouths, and our minds, to the age-old Canadian heritage of Eurocentrism, xenophobia, injustice, imperialism and war. Far more difficult to root out than this bogus narrative of Canadian exceptionalism, is the grand myth of Canada itself. Despite all the official paperwork giving this country the appearance of reality — passports, stamps, currency, laws, history books, maps and so many other convincing literary props and devices — Canada itself is a work of fiction. It exists because, with genuine faith and confidence in its authenticity, we truly believe it exists. Nation building is the ultimate confidence scheme. To debunk the myths that make up Canada, we must wade through a morass of lies, deceptions and distortions scattered like false clues across an expansive, national crime scene. Like detectives confronting an unfolding injustice, we, as characters in this literary creation called Canada, must confront the true-crime mystery into which we’ve been written. By digging into the ugly truths lurking behind our glowing national fables, we may not only uncover hidden scandals but find the strength to resist the ongoing crimes that spring from Canada’s colonial roots. As captives of culture seeking escape from the fraudulent literary landscape in which we are penned, we can at least arm ourselves with some self-reflexive analyses drawn from literature. Since Canada is a crime scene, if not itself a true crime — and we face the difficult task of resolving our place within this work of metafiction — we can benefit by consulting fictive sleuths who are similarly trapped within the world of literature. However, explains Marcus, Hammett’s private investigators, unlike most before or since, themselves engage in "fiction-making activity." To find the truth, they must "stir up" or provoke a response by positing a new narrative that may itself not be true. To fall for the hype that Canada is, or ever was, a Peaceable Kingdom, we must turn a blind eye to historical reality. Whether this "suspension of disbelief" is done willingly is debatable. When Romantic poet Samuel Taylor Coleridge coined this phrase in 1817, he referred to poetry that infuses scenes of nature with unreal, supernatural elements. This literary device, he said, transfers "a semblance of truth sufficient to procure for these shadows of imagination that willing suspension of disbelief for the moment, which constitutes poetic faith. "7 For 200 years, this idea of literary faith has helped explain how consumers of cultural works such as poetry, novels, plays and other fictions, knowingly accept an artistic artifice to increase their enjoyment. But what of citizens who place their faith in the literature of official myths? Consumers of political and religious deceits may be unsuspecting victims tricked into captivity by immoral public relations experiments without having given their free, prior or informed consent. Those who accept the pretence of Canadian myths practise a form of literary escapism. While this concept is usually applied to those using imaginative entertainment to distract their attention from unpleasant realities, the idea is useful in understanding the public’s blind acceptance of legal and religious fictions, political lies and beguiling national myths. Carefully constructed feel-good narratives about Canadian wholesomeness have been used in a litany of political speeches, slick corporate ads, news stories, edutaining docudramas, and that peculiar mix of all these fictive literary genres — the "Heritage Minute." These TV spots perfect the good-old-days view that Canada has always been an enlightened nation of compassionate characters working together to build a peaceful, benevolent country. Like a confidence artist’s sleight-of-hand, the sugar-coated myth of "Canadian values" diverts attention away from distressing truths not only about the tragedies of this country’s past, but the persistent habits of its imperial hubris. 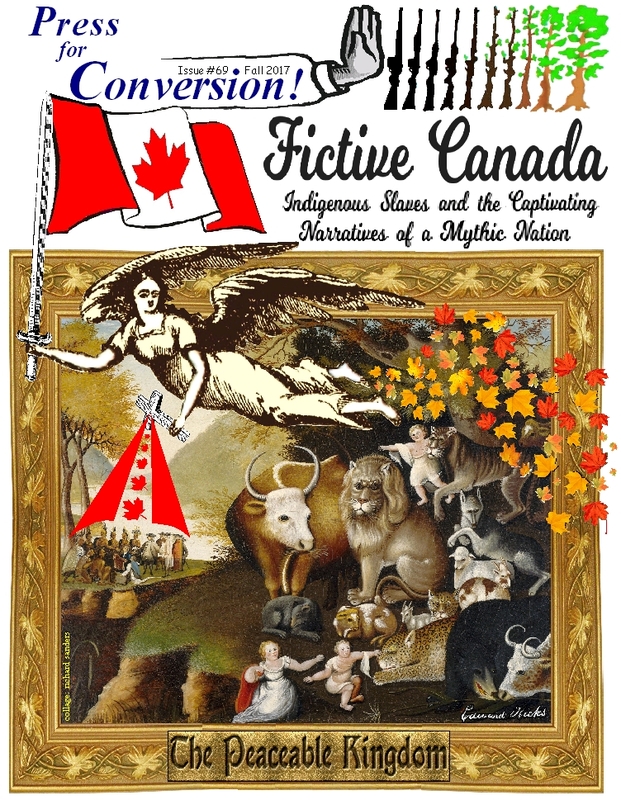 Those who temporarily suspend their disbelief by accepting Canada’s official narrative of escapism may eventually accept that our myths are absurd and that the entire imagined nation can be seen as a hoax, a cultural fabrication cut from whole cloth. Despite all the trappings that rubber-stamp this nation’s illusory reality on paper, Canada is based on so many fictions that its very existence can legitimately be called into question. was the notion of organised crime or gangs taking over an entire society and running it as if it were an ordinary society doing business as usual. In other words, society itself would become a fiction, concealing and belying the actuality of what was controlling it and perverting it from within. To Hammett, "respectable society" is "as much a fiction and a fraud" as the "phony respectable society fabricated by the criminals." And, continued Marcus, Hammett’s "world of crime" is "a reproduction ... of the modern capitalist society that it depends on, preys off, and is part of." While this view may seem fanciful, it is useful, as a Hammett detective repeatedly says, to "stir things up. "8 So, while seeing Canada as a true crime fiction in the imperial genre may be seen as a phony narrative creation, it is at least as true as the official mythology that Canada is a respectable and real country. Hopefully, the clash of these two opposing views will help stir us towards greater truth and reconciliation. 1. Northrop Frye, Conclusion, Literary History of Canada, 1965. 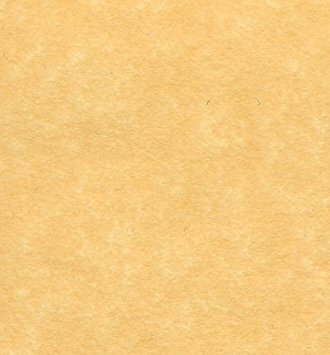 In The Bush Garden: Essays on the Canadian Imagination, 1971. 4. "Formative Evaluation of Canada’s Citizenship Week," 2004. 5. Hammett, author of the Maltese Falcon, had worked for the union-busting/strikebreaking Pinkerton Detective Agency. Later, as a communist organiser in the 1950s, he was jailed and blacklisted for refusing to name names during the McCarthy era’s witch hunts. 6. Steven Marcus, Introduction, in Dashiell Hammett, The Continent Op, 1975, pp.16-17. 7. Samuel Taylor Coleridge, Biographia Literaria, 1817. 8. Marcus, op. cit., pp.19-20, 17. The above article was written for and first published in Issue #69 of Press for Conversion (Fall 2017), magazine of the Coalition to Oppose the Arms Trade (COAT). Please subscribe, order a copy &/or donate with this coupon, or use the paypal link on COAT's webpage. Subscription prices within Canada: three issues ($25), six issues ($45). If quoting this article, please cite the source and COAT's website. Thanks! You may also be interested in this back Issue of Press for Conversion! Read the introductory article here: "The Canada Syndrome, a Captivating Mass Psychosis"